According to the health ministry in Gaza, 11 bodies of those slain citizens are still being held by the Israeli occupation authority. 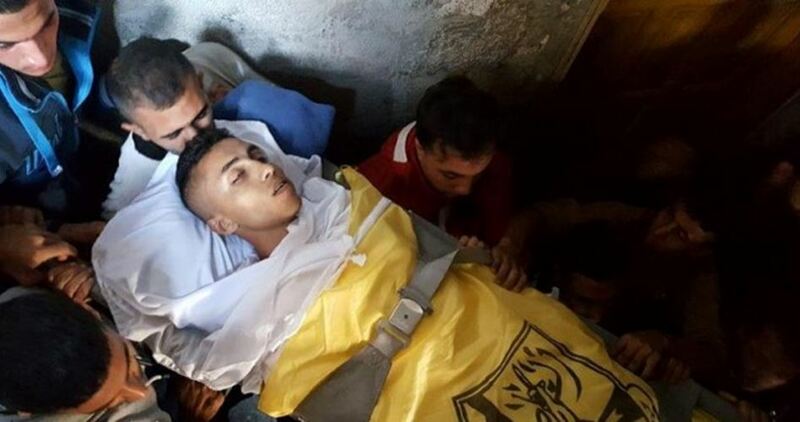 A spokesman for the health ministry said that a Palestinian young man died of a serious injury he sustained on Friday afternoon during his participation in a March of Return rally, east of Rafah. The spokesman added that 28-year-old Wa’el Qahman suffered from a bullet injury when an Israeli sniper shot him in a border area east of Rafah, and died later in the evening in the European Gaza Hospital. Another 37 protesters, including six children and nine women, were also injured by Israeli gunfire yesterday during Friday’s rallies east of Gaza.